Alec Baldwin recently discussed the fact that he has been suffering from Lyme disease for more than 15 years now. Unfortunately, Lyme disease stats have shown that it is spreading at a relatively higher pace than before, with its bacteria being carried by tick-infested mice. It does take a lot of courage for someone to have battled Lyme disease for so many years without telling anyone about it, and Alec Baldwin has done it. 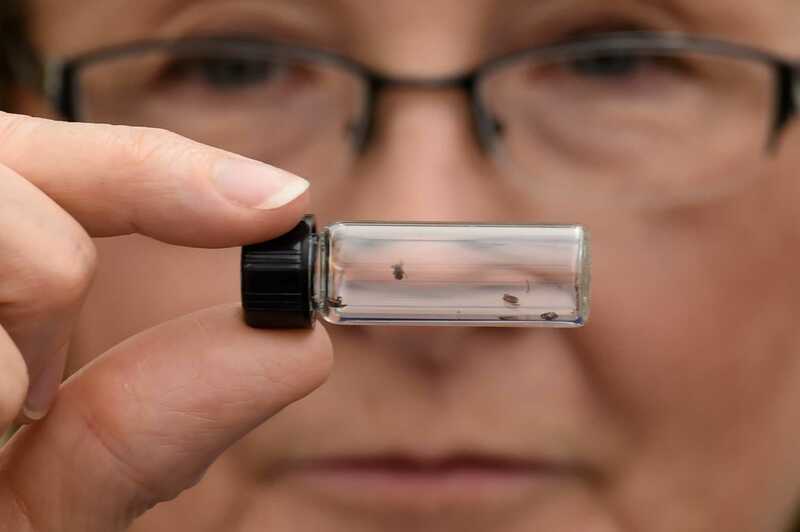 The disease itself is usually contracted when a person walks in an area that has free moving ticks, like a woody area or areas covered in grass, as these ticks latch on to the human body. According to Baldwin, around 17 years ago, he got bitten by ticks, and although he got that bite treated, unfortunately, after a few years, he got bitten by ticks again, which eventually led him to contract Lyme disease. Recently, Baldwin gave a speech at the Lyme Foundation in Bay Area, hosted for the purpose of benefiting the research being conducted by an organization called LymeAid. Baldwin remarked that every summer, he used to experience the symptoms that came with his Lyme disease. The classical symptoms of Lyme disease resemble flu symptoms but are followed by excessive sweating. The ticks that cause Lyme disease are so small that one can not consciously avoid them. According to Baldwin, when a person suffers from these symptoms for the first time, it is the worst feeling. Remembering his own first experience, Baldwin said it felt like it was the end of his life. He was not married when he first caught the disease, so he felt very lonely throughout the whole experience. He remarked that his only wish at that time was that, if his health deteriorated too much while he was in his bed, someone got to know about it before it was too late and save his life. Lyme disease is an infectious condition which is spread by ticks, and it causes the skin to redden up as it spreads, although usually the red patch is created around the same area where the tick has bitten. Symptoms start to appear after a week of the bite in the form of a patch, although it is not usually itchy or painful at this point. Baldwin is a family man now and wants his kids to have the very best in life. After a week, the sufferer usually gets a fever, the feeling of extreme tiredness, and a severe headache. If proper treatment is not sought in a timely fashion, these symptoms may get worse and a person can lose the ability to move the face sideways because of neck stiffness. Joint pain also occurs as symptoms get worse, and a person feels recurring heart palpitations as well. Sadly, these symptoms do not go away completely even after treatment, and they may reappear months or even years after being treated. Because of the chronic nature of this disease, Baldwin has faced many episodes of extreme stress and depression. Yet, ever since he has gotten married, his only wish is to provide the best for his family, especially for his kids whom he obviously loves a lot. His speech especially mentioned the importance his family holds in his life, stating that he wanted his kids to be able to play in the open fields, ride bikes, and horses, without the stress of accidentally contracting Lyme disease.